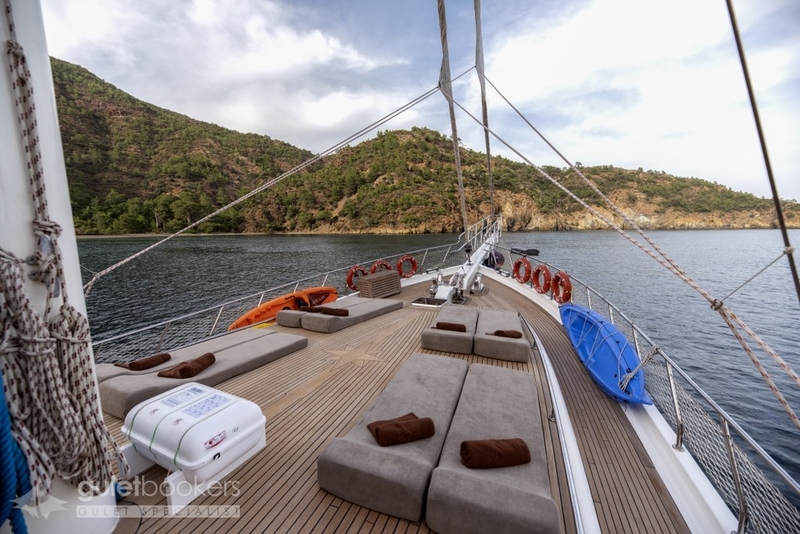 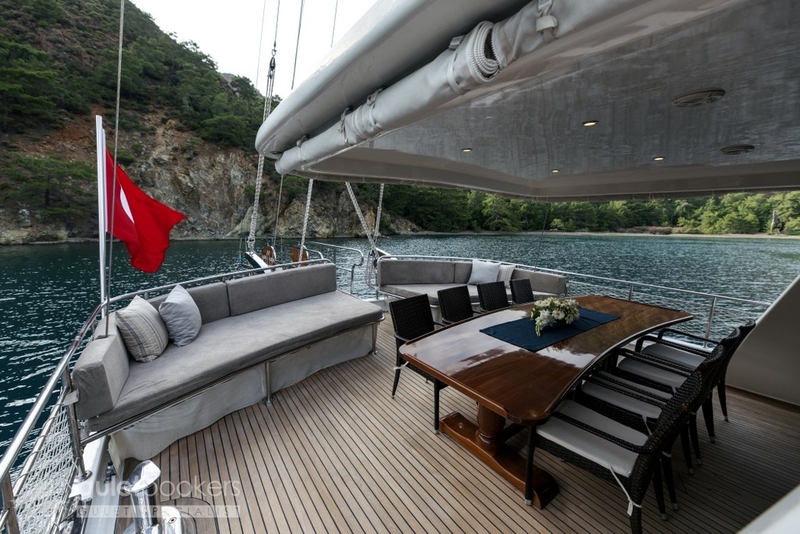 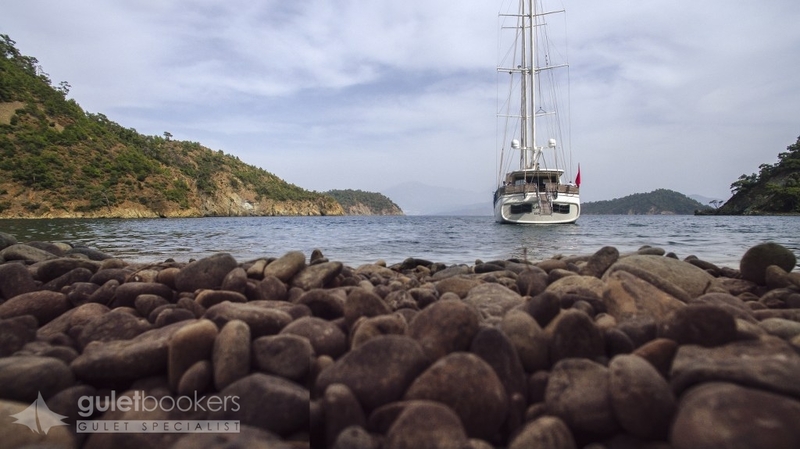 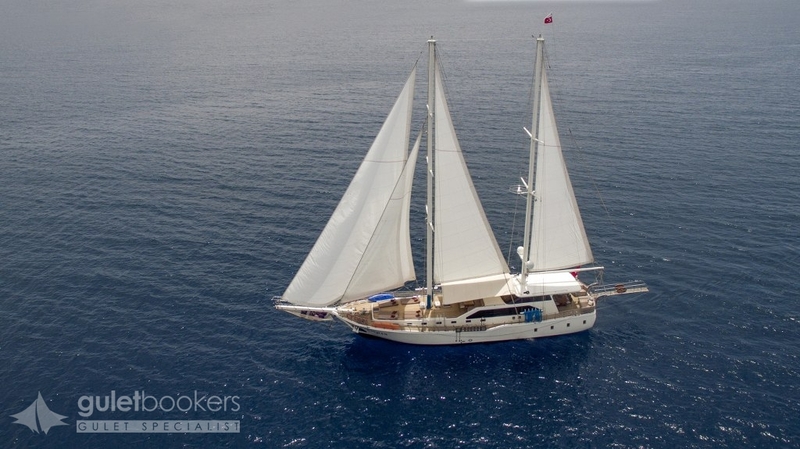 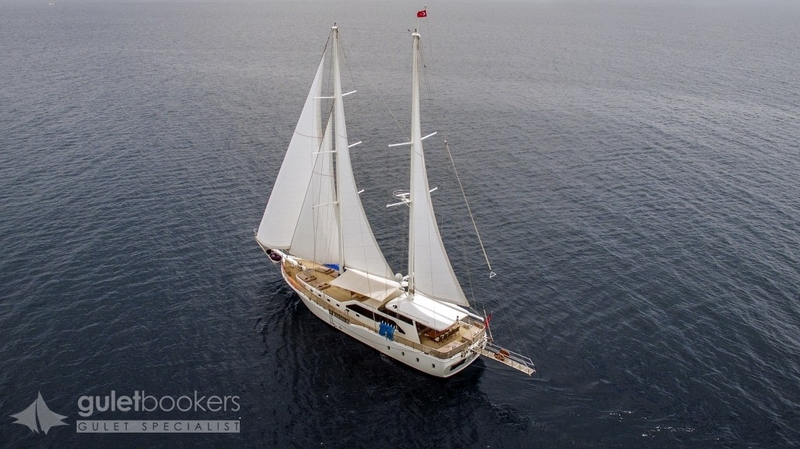 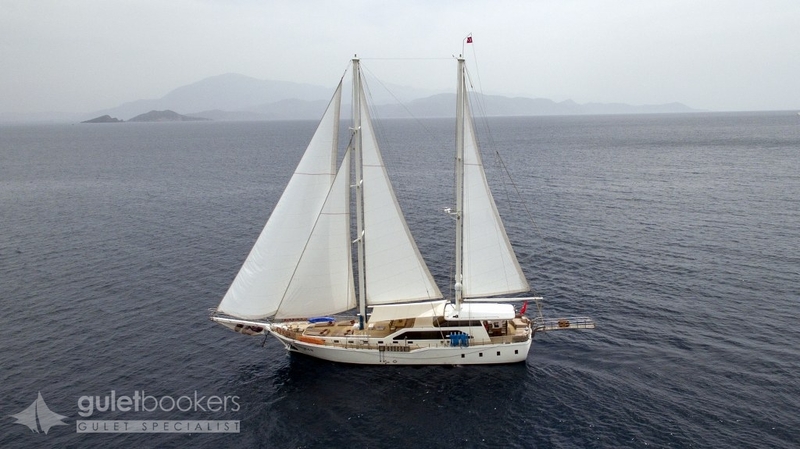 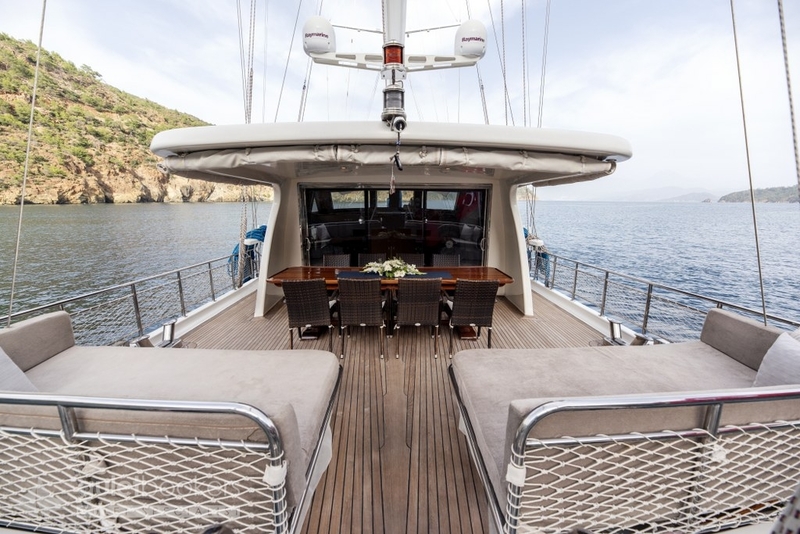 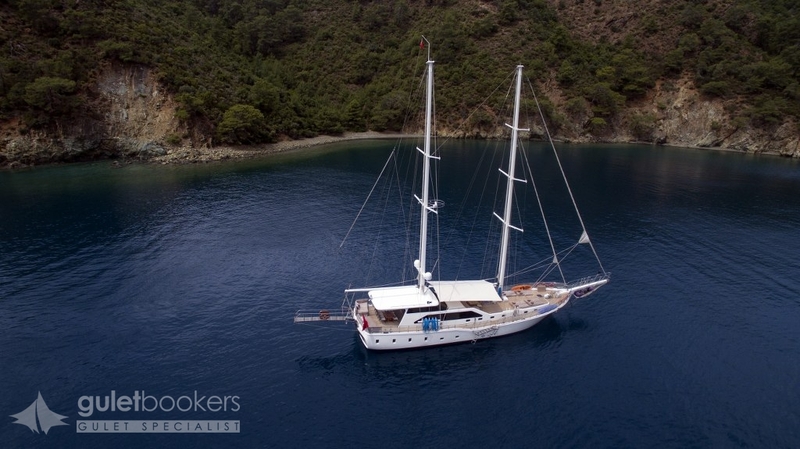 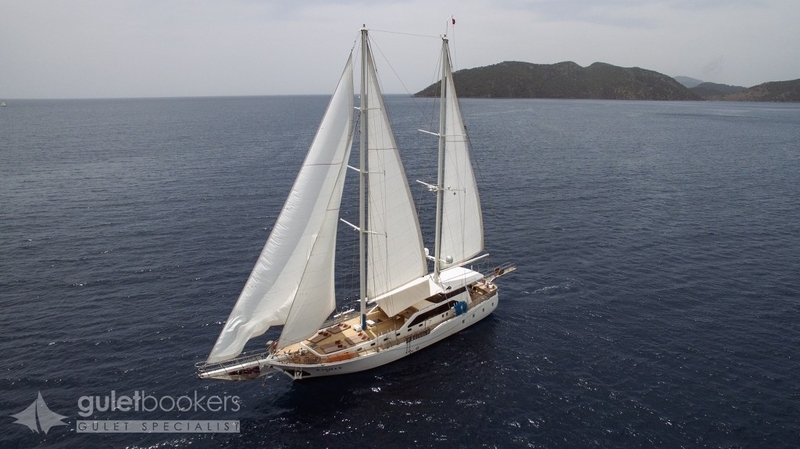 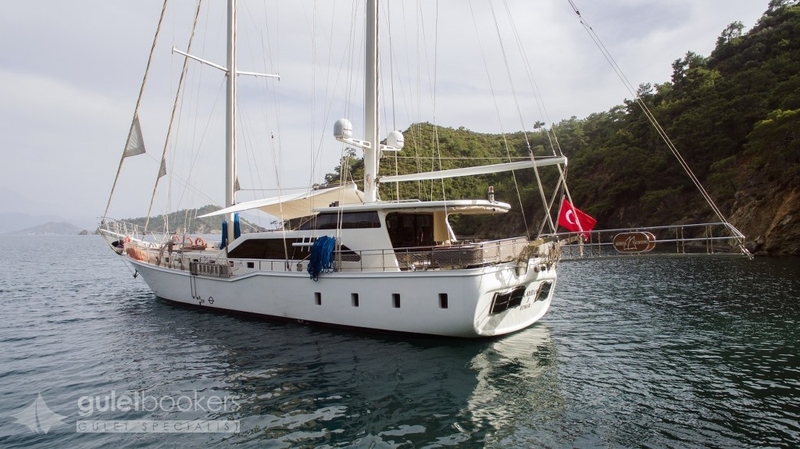 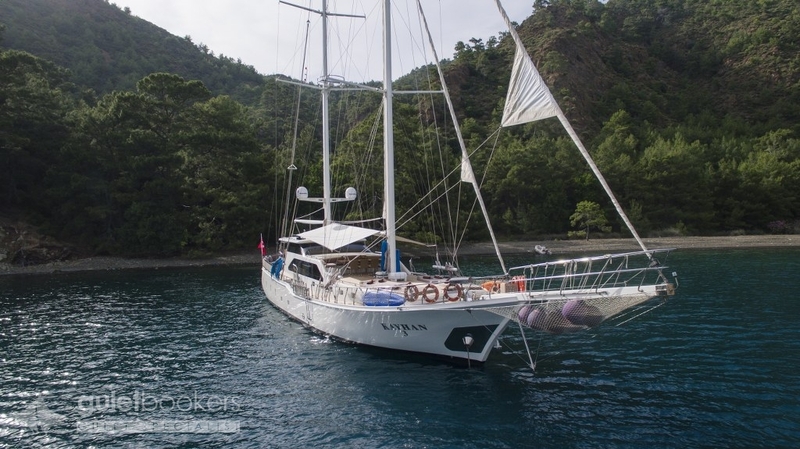 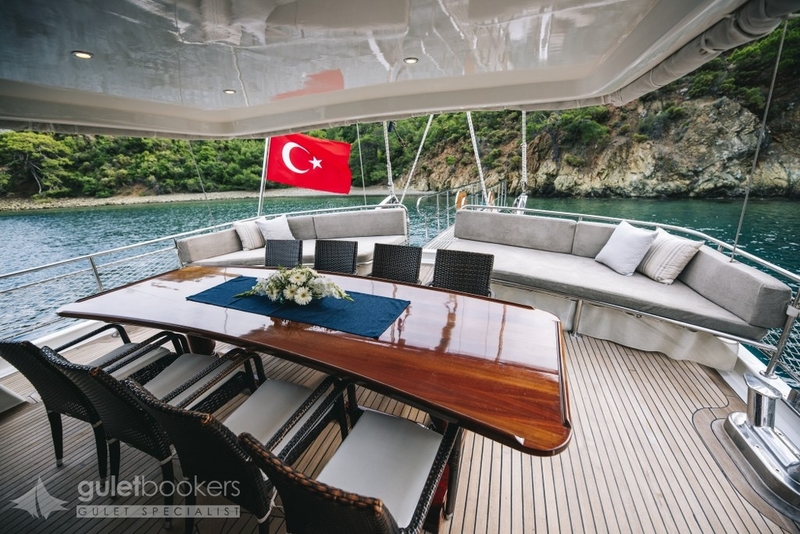 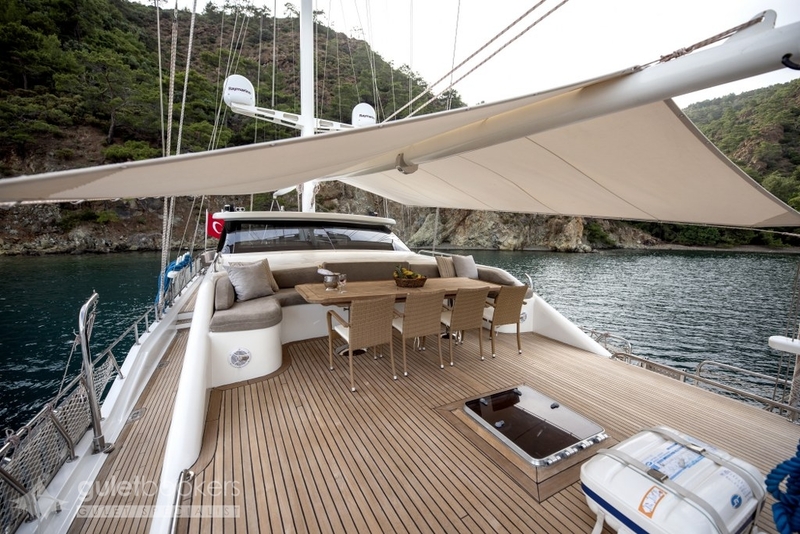 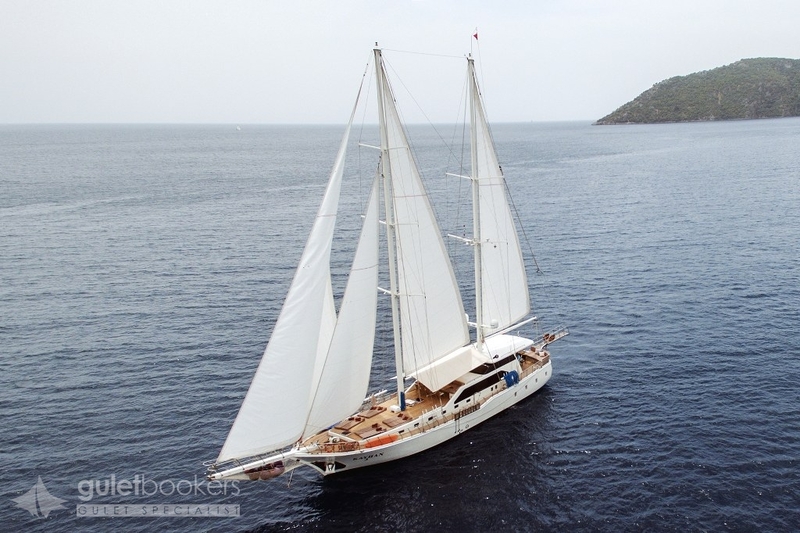 One of the few recently built gulets; the Luxury Kayhan 3 offers very comfortable surroundings for a carefree gulet holiday along the beautiful turquoise waters of Turkey’s southwest coast. 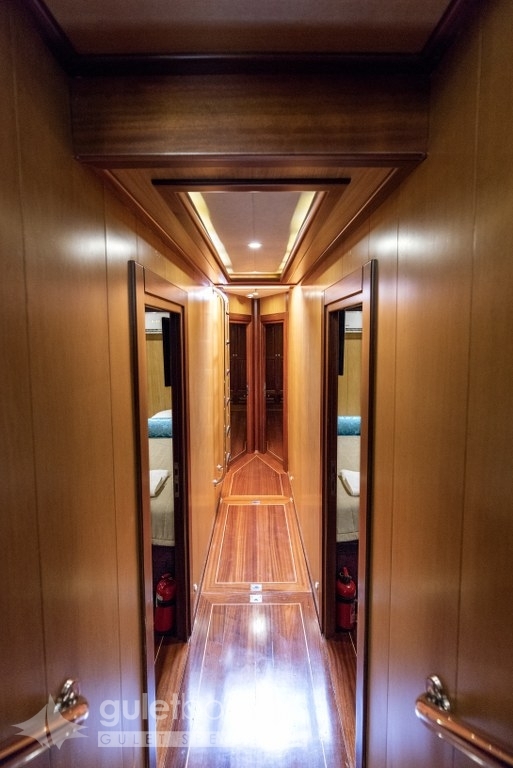 The modern light-filled saloon and the interior décor of the five cabins display a light touch in wood paneling and white textile ceilings. 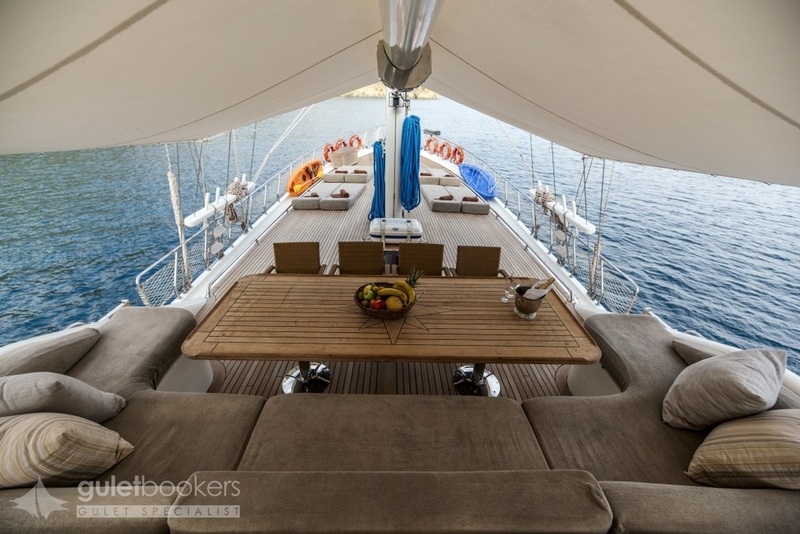 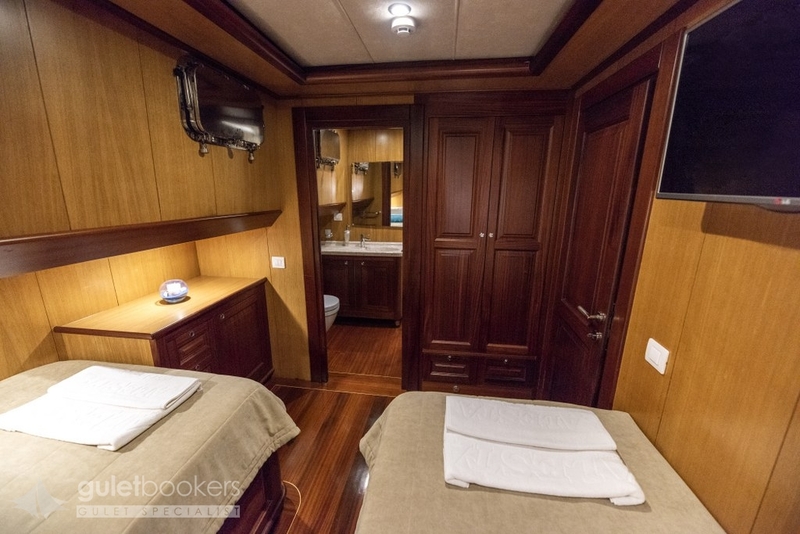 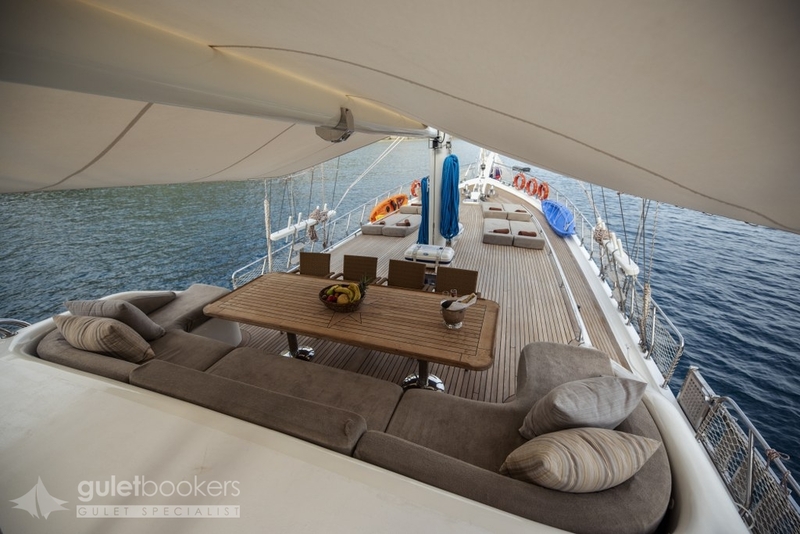 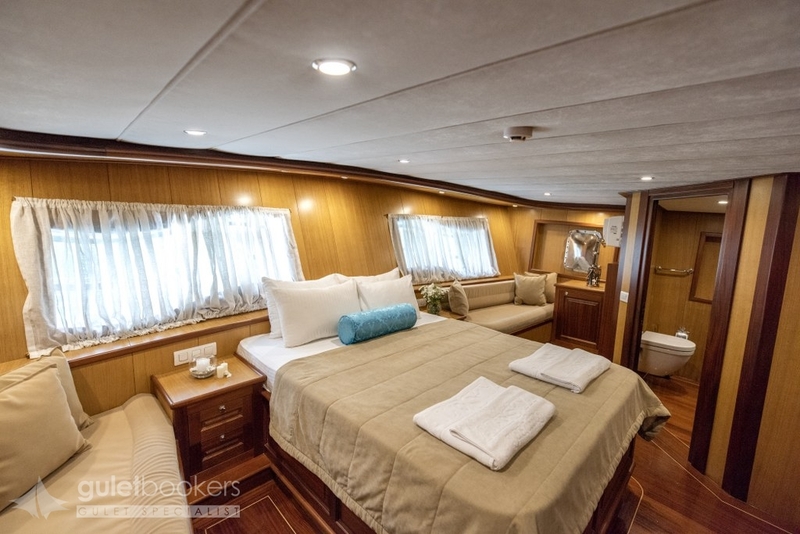 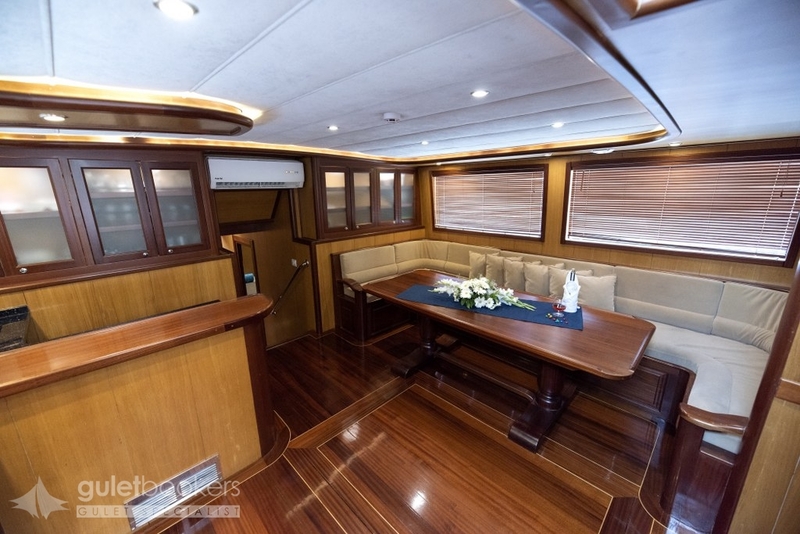 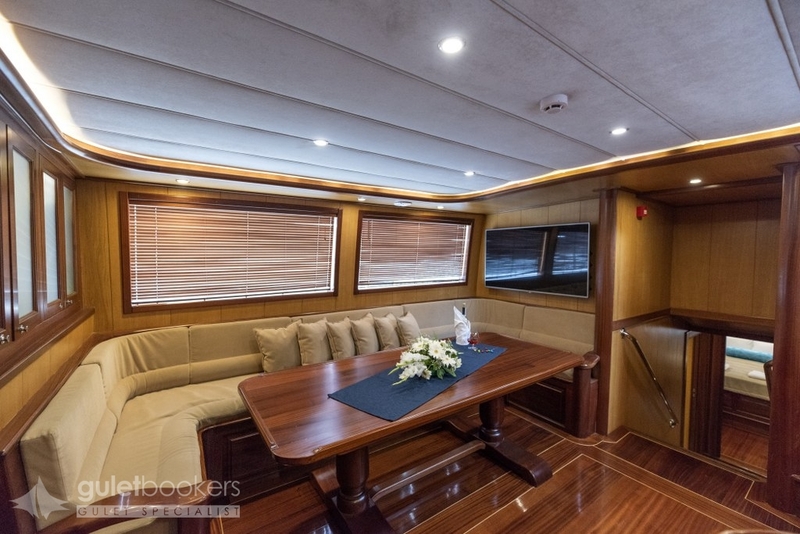 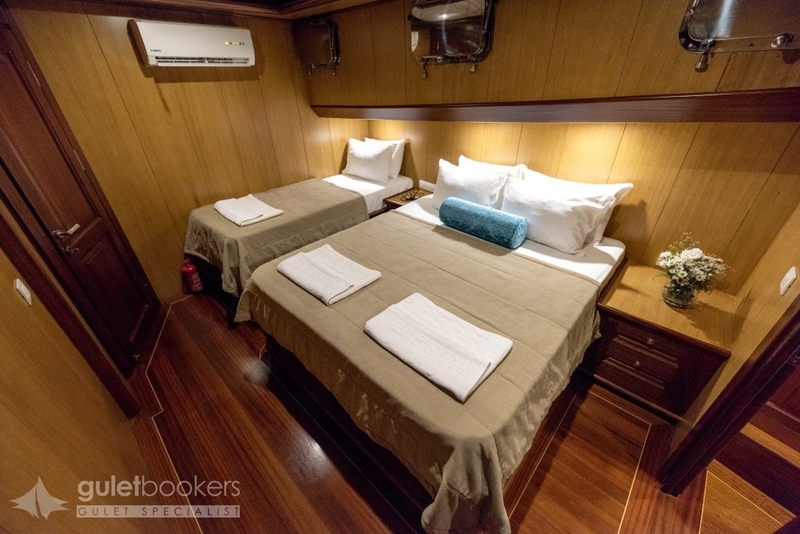 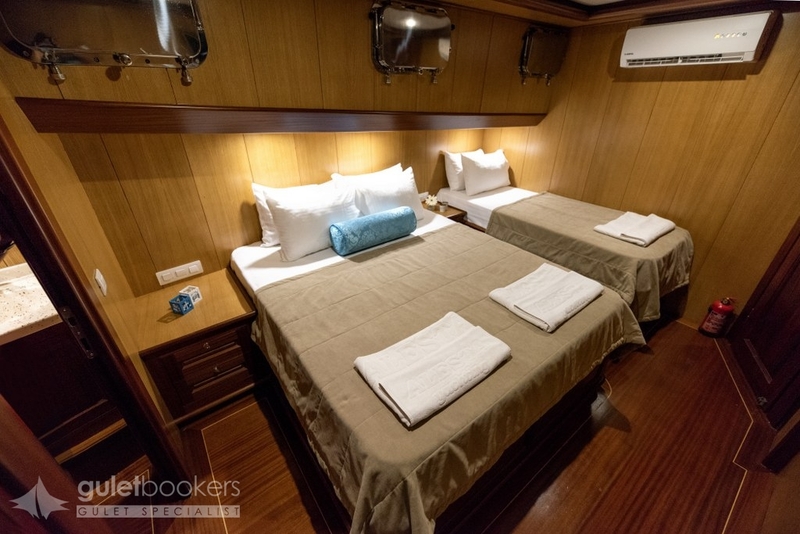 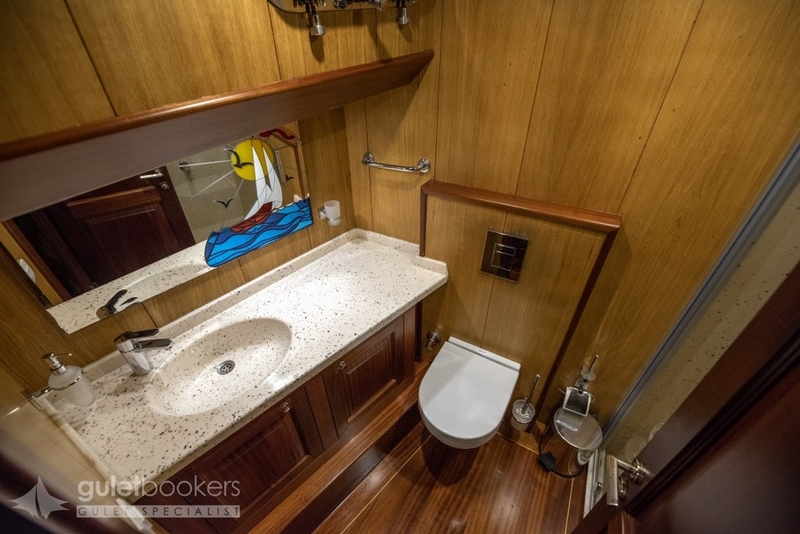 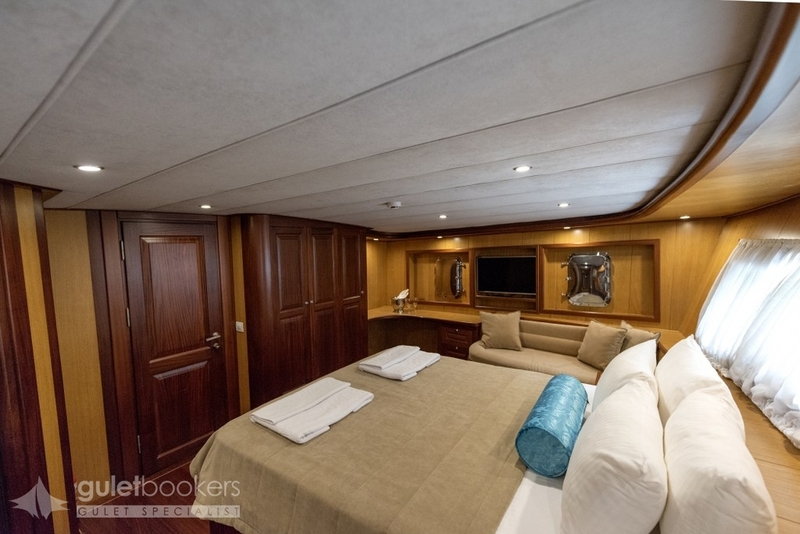 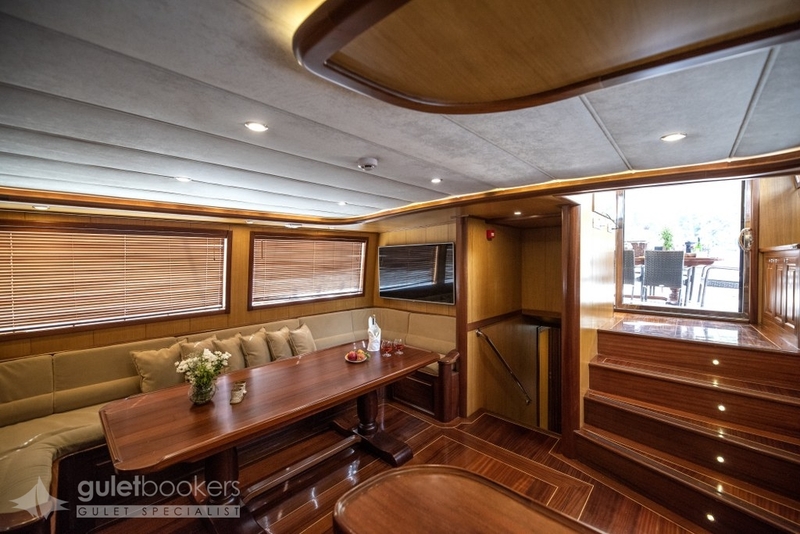 The master cabin on Turkish gullet Kayhan 3 is located aft of the saloon and galley, while the two large triples with walk-around double bed and a single bed, and the two twin cabins, are grouped together forward of the saloon, offering a family or a group a range of options for accommodation. 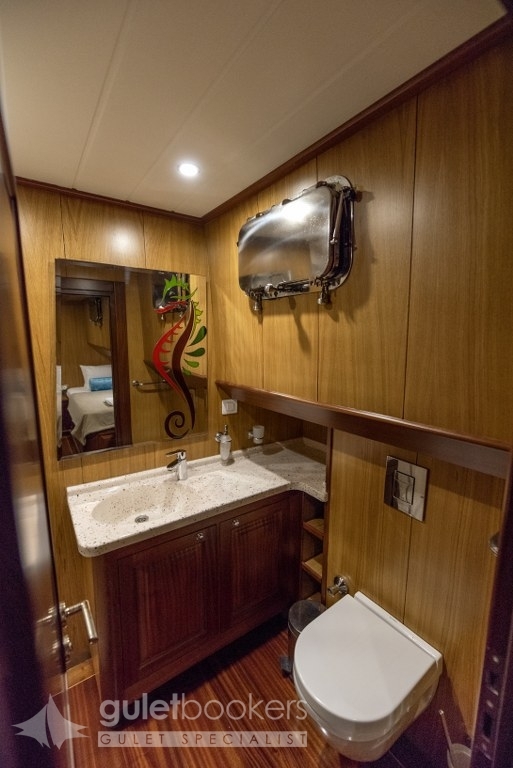 The private bathrooms for each cabin have modern fittings, and each cabin enjoys its own TV system and has air-conditioning available. 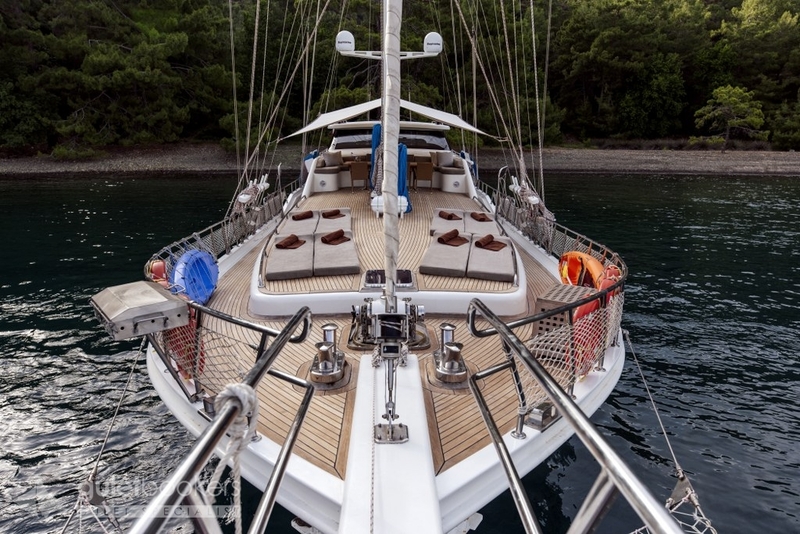 On deck the space afforded by the full 26 meter length is apparent in the number of areas for relaxing on the gulet cruise, from the square seating and low table at the bow, the personal sunbeds on the middeck, to the aft deck dining table and luxuriously cushioned bench shaded under the extended roof. 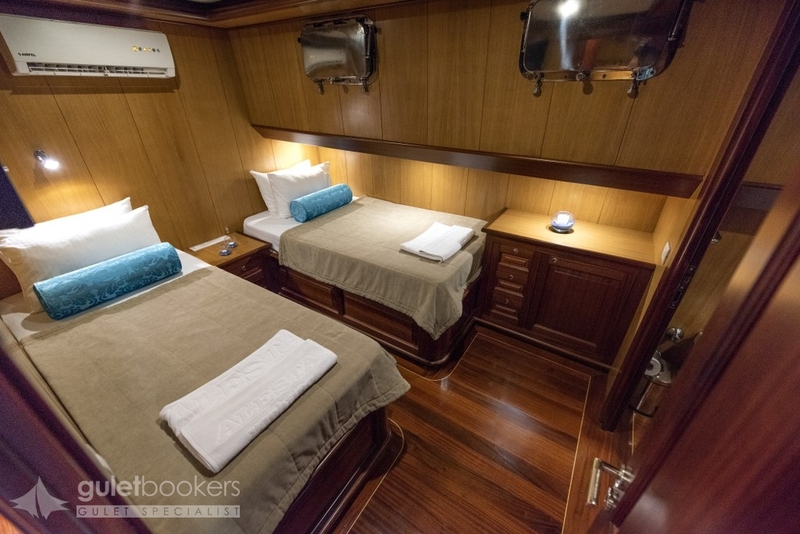 The seats and sunbeds forward maybe open to the sun or shaded on request throughout the holiday cruise. 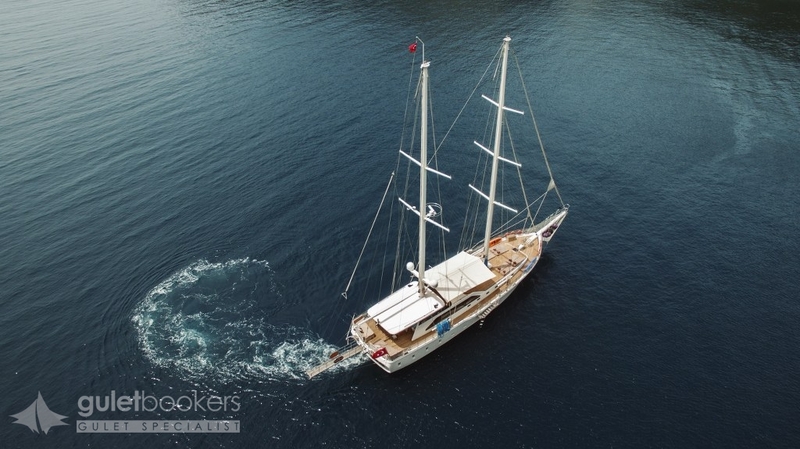 The Captain, cook and crew on Kayhan 3 yacht are both professional and hospitable experienced staff who know how to look after the guests superbly and present the boat at its best every day for a memorable gulet cruise holiday.